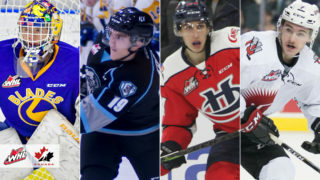 Saskatoon, SK – It was to be a special night in Saskatoon for Joel Grzybowski‘s first start in the WHL, replacing the injured Ryan Kubic in night. Furthermore, Dylan Playfair and Andrew Herr of ‘Letterkenny’ were in the house, treating fans to autographs and selfies. Then the night was soured by the visiting Swift Current Broncos. 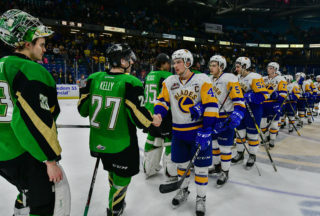 Undefeated and yet to play a home game, the Broncos were determined to keep it that way as Tyler Steenbergen’s 4 goals paved the way to a crushing 6-2 victory over the Saskatoon Blades. The first period as well as the game started with the Blades pressing and maintaining possession. Their momentum was killed however, when an unfortunate and rare ‘slew footing’ double-minor penalty was assessed to Caleb Fantillo. In his post game comments, head coach Dean Brockman attributed the penalty to throwing the Blades’ off their strong start. Despite several heroic efforts in net by Grzybowski, the Broncos cashed in with the man advantage. Their breakthrough coming via Glenn Gawdin who tipped in an Artyom Minulin shot at 4:28. The secondary assist was awarded to Tyler Steenbergen. Things were made worse at the midway point of the period as the Blades coughed up the puck on a rough pass through the neutral zone. After intercepting the puck, a series of passes from Colby Sissons and Logan Barlage got the puck to Kaden Elder who found himself streaming in on net. Under pressure while protecting the puck from Saskatoon’s blue-liners, Elder let the puck off from his back-hand. Though Grzybowski got a piece of it with his glove, it was not enough. The remainder of the period was steady as the Bronco’s took a 2-0 lead into the first intermission. The second period purely belonged to Steenbergen and the Broncos. First, Swift Current won the puck in a battle in the corner to Grzybowki’s left. They then played the puck diagonally to the opposite face-off circle where Steenbergen ripped in his first of the night at 4:30. Next, the Broncos struck again, weaving smoothly through the Blades’ tired defence while executing pin-point-passes. After collecting a rebound, Gawdin fed the puck from the left face-off circle to Steenbergen right in the slot where he made no mistake at 11:44, making it a 4-0 game. Finally, Steenbergen completed his natural hat trick, being fed the puck laterally across the front of the goal crease by Heponiemi at 17:19. Grzybowski had no chance on the play. 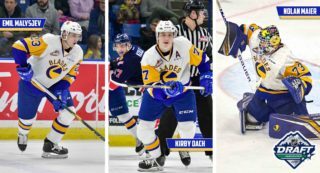 In the same time frame that Steenbergen recorded his hat-trick, the Blades’ only recorded 3 shots on net. The Broncos’ took a commanding 5-0 lead into the second intermission. Saskatoon ended former Blade Logan Flodell’s shutout bid at 5:20 of the third period. Cameron Hebig collected a loose puck in the Broncos’ defensive zone and cycled it back to Jackson Caller at the blue-line. Caller then wound up a slap shot that moved low along the ice before Braylon Shmyr roofed into the net with a neat tip in right in front of Flodell. 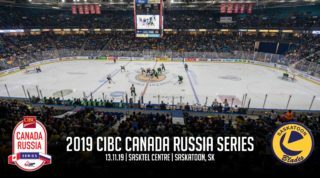 Just as the Blades started to rebuild their momentum with a sequence of strong play in the Broncos’ defensive end, Swift Current punished Saskatoon the next time they got the puck. Not content with only 3 goals to his name, Steenbergen moved around and past his pac-man clad opponents before dangling in his 4th of the night at 13:48 for a 6-1 scoreline. With less than 5 minutes left, Brad Goethals scored a consolation goal for the Blades. Kirby Dach carried the puck behind the net before dishing it off to Gage Ramsay in front of the goal trapezoid. Ramsay made a clever no-look-back-hand pass across the crease making for an easy tap-in for Goethals. The goal was Goethals 2nd of the season and set the score at 6-2 in favour of the Broncos for the night. 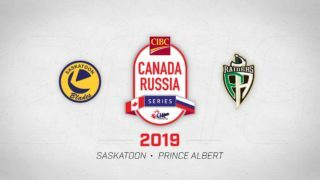 Having opened the season with 1 win and 3 loses at home, the Blades’ will now play their next four games on the road, starting in Regina against the Pats tomorrow – Saturday October 7. Game time is 7:00pm, and you can tune in to the pre-game show on 92.9 The Bull FM beginning at 6:30pm.